From NECA. From Sony's upcoming God of War video game! After a decade of bestselling God of War games, it is a new beginning for Kratos. Living as a man outside the shadow of the gods, he ventures into the brutal Norse wilds with his son Atreus, fighting to fulfill a deeply personal quest. This impressive 18" action figure features over 30 points of articulation and an incredibly detailed sculpt. 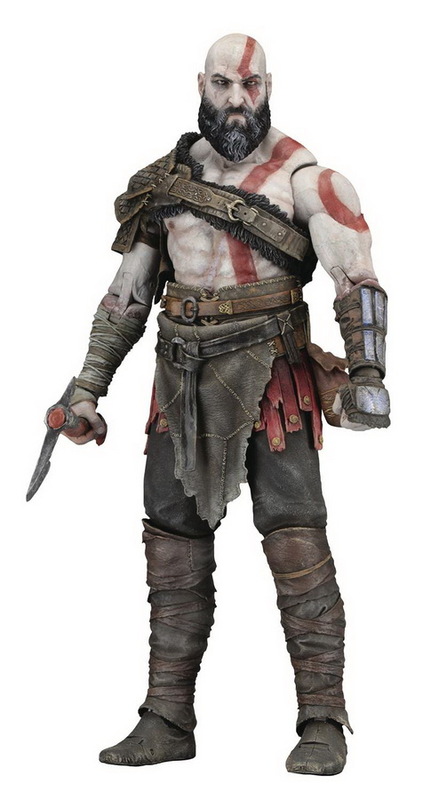 Kratos comes with axe and shield accessories.